The Crinan Canal was built in the late 19th century across the Kintyre Peninsula in the West of Scotland between Ardishaig on Loch Fyne and Crinan in the Sound of Jura. It was built to allow small vessels such as Clyde Puffers to carry supplies from Glasgow to ports on the West Coast and Islands and to bring products back to Glasgow. The canal allowed the ships to avoid the journey round the Mull of Kintyre which could be treacherous. There are 15 locks over the nine mile length. Only two are mechanised. It is difficult to imagine this route as a shortcut. It takes the best part of a day for a ship or yacht to traverse the Canal. However, the region of the Canal is an area of great beauty, as the photographs above show, and is good for cycling, walking as well as for pleasure boating. 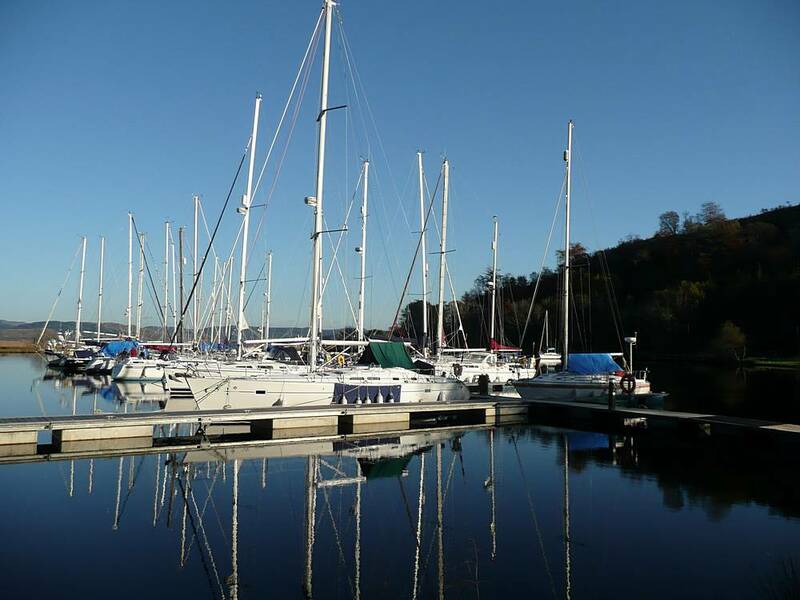 There is a marina at Bellanoch which provides convenient access to the West Coast of Scotland. Not far from there are the wetlands and peat bog of the Moine Mhor Nature Reserve ("The Great Moss"). 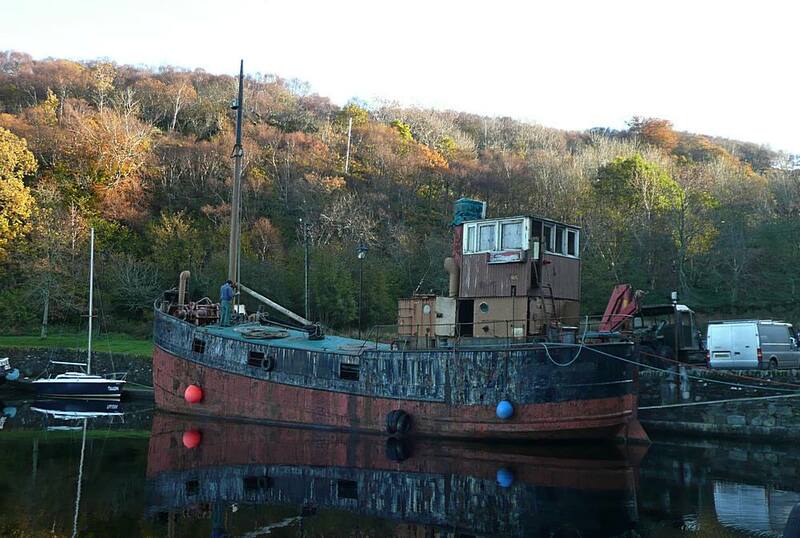 Comment: Why was there no canal between Tarbert and West Loch Tarbert? The distance is only one mile. The Vikings dragged their boats across the land and even later, in the 18th Century, sea-going vessels of up to 10 tonnes were being dragged over the land to avoid going round the Mull of Kintyre. 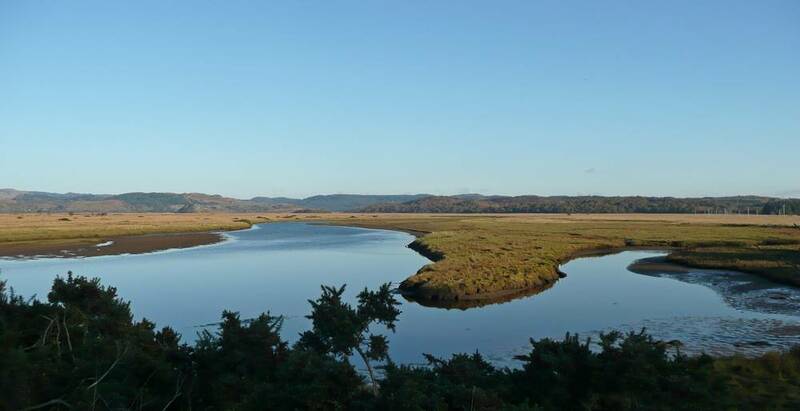 Apparently, the construction of a cut through from East Loch Tarbert (part of Loch Fyne) to West Loch Tarbert was considered but deemed too expensive and any further consideration was superceded by the construction of the Crinan Canal (Source:Wikipedia). The Crinan Canal is beautiful and an engineering feat to be marvelled at but a shorter crossing at Tarbert would have made much more sense. The photos were taken on the 4th November 2008.